"It's very similar to having a phone; you wouldn't want just one or two apps on it. You'd want to be able to have a wide selection," Bharat Vasan, CEO of PAX, told me in his company's downtown San Francisco office. He's referring to the range of "pods" available for the PAX Era weed vaporizer, likening fewer weed options to only having Instagram or Twitter on a phone. PAX makes some of the best-known cannabis vaporizers in the industry. But during our interview, Vasan doesn't mention the words "high," "stoned," "weed," "doobie," "blaze" or "dank" once. Instead, he talks about "platforms," "apps," "experience" and "updates." PAX is one of a handful of technology companies making weed accessible to a generation that doesn't want to roll their own. A generation that wants, even expects, to customize its experience via an app on their phone. A user that's more likely to update their firmware than clean out a pipe. 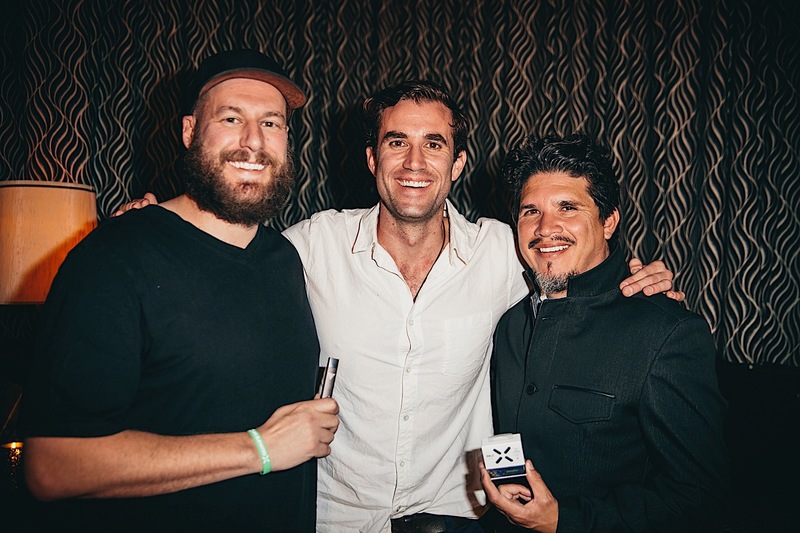 Today is 4/20, the Christmas of cannabis, and PAX is using it to launch a limited-edition Era vaporizer with a celebrity endorsement from weed-friendly electronic duo Thievery Corporation. The Era uses "pods" of cannabis oil, which snap into place on the pen-like device; the user only needs to inhale and enjoy. The launch also includes a new pod from Blue River called "Lebanese Blonde" (a meta reference to a Thievery Corporation track, itself named after a variety of cannabis) and a new album from the duo. The cannabis oil in these pods requires a high-tech, convoluted extraction process. JJ O'Brien, VP of the Era product line, told me "the [new] pod is really incorporating as close to a traditional Lebanese hash-making as possible. So there's no CO2, there's no ethanol, no butane." In technology terms, it's an attempt at authenticity, reminiscent of when iOS apps tried hard to look like the analog items they replaced. 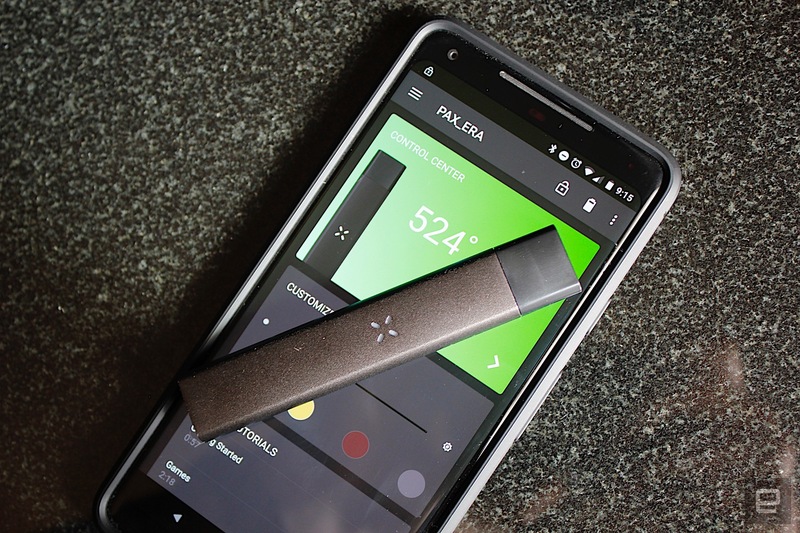 It's not just PAX that is bringing cannabis into the mobile age. Bloom Farm's range of "Highlighter" vape pens come in rose gold and space gray-esque colorways. The pens include a capacitive tip on one end so you can navigate your work email while you casually stick it to the man by supping on the other end. Just this week I received a product release announcement from another company that espoused a new vaporizer's spec sheet, complete with 64Kb of memory and pass-through charging. No wireless charging or contactless payments yet, but I am sure they're coming. It's a cliche, but PAX is often likened to "the Apple of vaporizers." 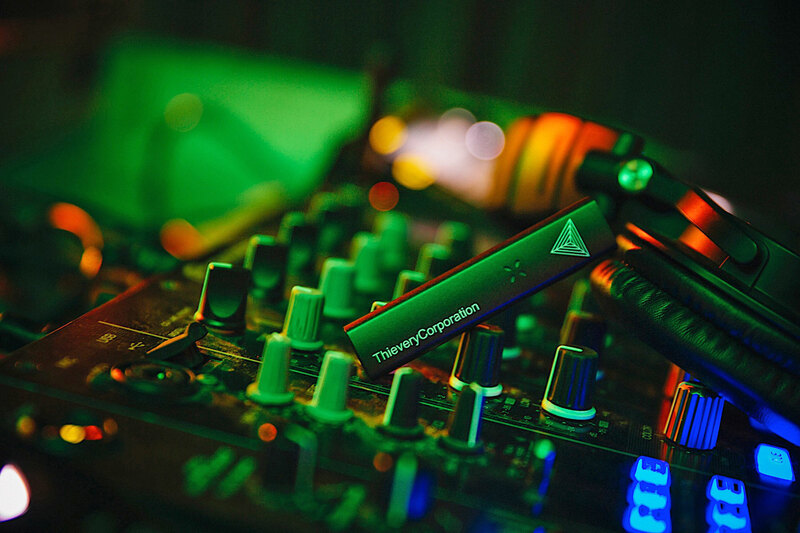 Its products are slick, with soft glowing lights, seamless Bluetooth connectivity and strong cosmetic design. They also come at a premium (the Era is only $30, but the pods are pricey compared to the same weight in "flower"). The flagship PAX 3, which works with any flower or concentrate, costs $250. The Era's pod system is a proprietary format, something Apple is also very fond of using. On the other side, companies like Bloom Farms or ABX use generic connections, meaning you can often pick and choose which hardware to use with which cartridge of oil. PAX's closed system is going for the "it just works" approach, but it also locks you into its products. "Originally, we had some Afghan Black, and were going to call the song that," Rob Garza from Thievery Corporation told me backstage at the launch event. Apparently someone else that day was from Lebanon and said that they had a type of hash called Lebanese Blonde. The group decided that sounded better, and the title of their song was born. In turn, kicking off a chain of events that would, years later, find that name etched onto the side of a vape cartridge. Which beats an iPod with U2's signatures on the back, in my opinion. The new strain is made by Blue River. PAX does not make any cannabis-based product, only a means to enjoy them. Tony Verzura, Blue River's CEO, was enthusiastic in explaining the process. But mostly he talks in metaphors about the importance of layers, comparing weed making to music and its "transition from analog to digital." In a transition that Samsung would have been proud of, Verzura and Garza later took to the stage while O'Brien introduced them. Like a well-groomed PR machine, they repeated the exact two anecdotes they told me in an interview moments prior. When the presentation finishes, the music takes over and the atmosphere lifts gently upward with every subtle wisp of Lebanese Blonde exhaled in the room. If PAX is the Apple, and everyone else is the Android, then there's another challenge in store for weed's digital update: copycats and clones. Much like there are endless wannabe iPhones, connected cannabis could end up saturated with inferior "me too" devices before too long, and the audience for cannabis might not be large enough to support them. The e-cigarette and nicotine-vape market is already plagued by cheap devices with ridiculous features that are endlessly iterated. Weed vapes could end up going the same way. Modern weed is for a modern user, though. Vaporizing is discreet and (almost) smell-free, and devices like the PAX 3 or PAX Era have Bluetooth, mobile apps and child locks. The PAX 3 even has games on board. I asked Verzura if vapes with features like this have somehow legitimized cannabis to a new generation, and he suggested vaping in public is at least less problematic. "People might smell it for a second," he said, "but no one really notices." And that, perhaps, is the important change that smarter weed devices can offer. A way to consume that's much easier for everyone, much more convenient and much more culturally acceptable. I asked Vasan: If the current PAX devices do their job well, then why don't they just leave it at that, and retire on a beach? "You know, I'd love that. That's not how the consumer space works. I feel like there's a lot more that PAX can do to make the experience like other mainstream experiences in your life" he said. "There are other mainstream products like Rings and Dropcams and August locks in your life. This experience should parallel the best of those." Better make sure you keep your vape's software up-to-date.